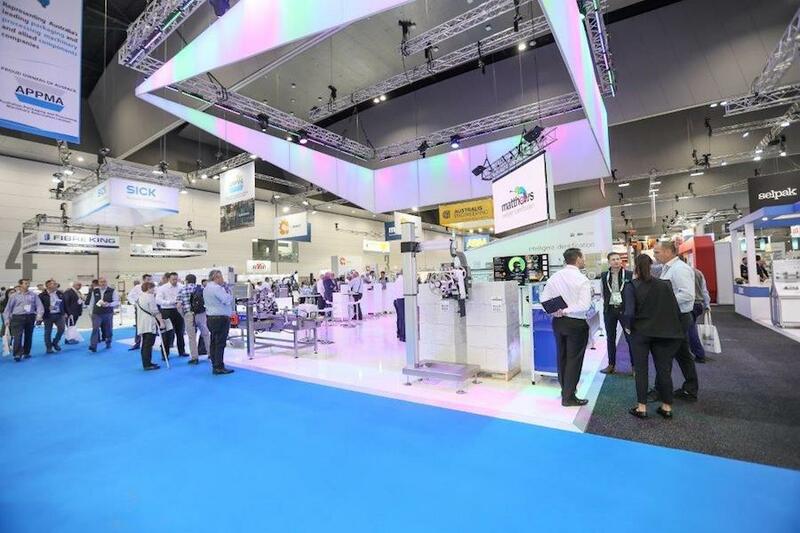 AUSPACK 2019 brought four MASSIVE days of industry networking and new ideas, innovations and technologies. According to the organisers, the event was “the biggest, best and most successful show in its 34-year history, with visitor numbers higher than ever before”. With so much to see and experience, you might have missed some big news from right here at Matthews Australasia. Unless you’ve been hiding under a rock, you’ll already have noticed we’re rebranded. It was only fitting to make the milestone announcement on day one of AUSPACK, the most important event in our calendar. The most noticeable and symbolic part of our rebrand is found in our logo. Our well-known chameleon icon has a bright, bold new look, symbolising how we are adapting to the Australian manufacturing industry. One of the Chameleon’s unique characteristics is adaptability; its ability to seamlessly make changes to reflect its environment.This represents Matthews’ ability to adapt to the marketplace and customers’ changing needs. 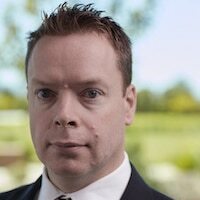 What does Matthews’ rebrand mean for you? Our rebrand goes beyond a new logo to an extensive range of new customer tools, including a new website, brochures, training videos and customer case study videos. We’re especially proud of our new website. It’s packed full of helpful new resources and information, with a clean design that makes it easier than ever to find exactly what you need. Find out everything you need to know about our 24/7 support in our Care pages. Watch our new customer video case studies, including Jim’s Jerky, Chobani Australia, and more. See a hand-picked selection of our most popular products and get an overview of our solutions. Another exciting announcement was on our formal partnership with Kodak Enterprise Inkjet Systems Division. Through this alignment we will provide high-speed digital inkjet printing capabilities to the Australian and New Zealand packaging, labelling and printing markets, offering digital printing speeds that are up to four times faster than existing digital inkjet technologies. Combined with our in-house iDSnet software capabilities, these increased solutions for brand owners promise superior consumer engagement, promotional and authentication opportunities, as well as a range of other benefits that come with Kodak’s unique inkjet technology, which is specifically designed for the packaging industry. “We’re really excited about this partnership because it gives us another string to the bow in terms of intelligent identification: high-speed digital printing, in particular for promotion and serialisation, for brand owners to take promotion to a new level with high speed, flexibility and speed to market,” Mark told PKN at AUSPACK. We once again had a range of award-winning technology on display, along with new solutions to meet evolving customer needs. In addition to showcasing solutions from many of our long-term technology partners, we gave visitors the chance to try out the innovative dashboard by one of our newest technology partners, OFS. Announced last year, our partnership with OFS brings together two class-leading manufacturing technology platforms into one: “iDSnet Manager – Powered by OFS”. At AUSPACK, visitors could see first-hand how the solution delivers a seamless connection between iDSnet and the dashboards and reporting systems produced by OFS. All equipment on the stand was run from one centralised location: our iDSnet product code management software. See the technologies in action on our stand. With AUSPACK over for another two years, we want to thank everyone who visited us at the event and also our customers and partners for their support in our journey. If you didn’t get a chance to say hello and are interested in what we can offer, don’t wait another two years – get in touch today. Browse our brand-new resource library. This entry was posted in Global Manufacturing, Innovation and Best Practices, Machine Vision & Quality, Product Identification Technologies, Trends in Identification and tagged auspack.